Keep it casual, keep doing you. Style should be defined by what you like to wear and what makes you feel comfortable, not by the opinions of others. T.J. makes this concept crystal clear, styling himself in an outfit that expresses his personality. 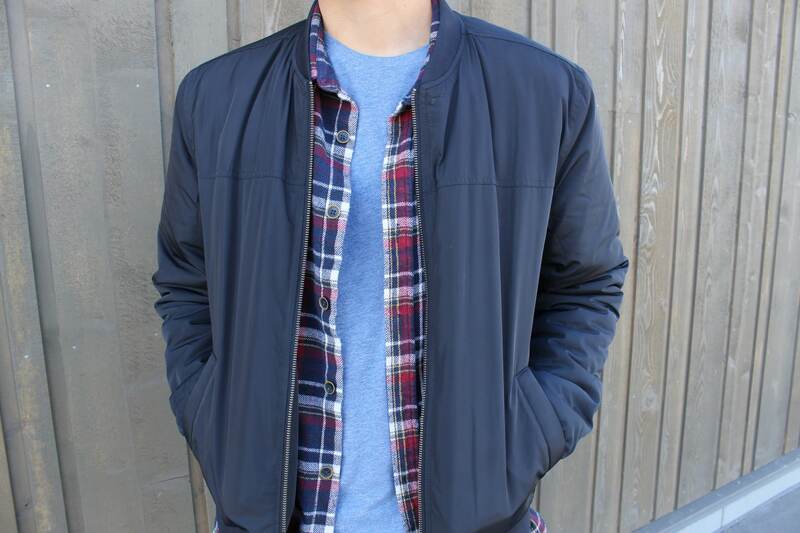 Many stores are selling bomber jackets now. It seems everywhere you turn, you see one. I’ve even been seeing embroidered and printed styles all over campus! 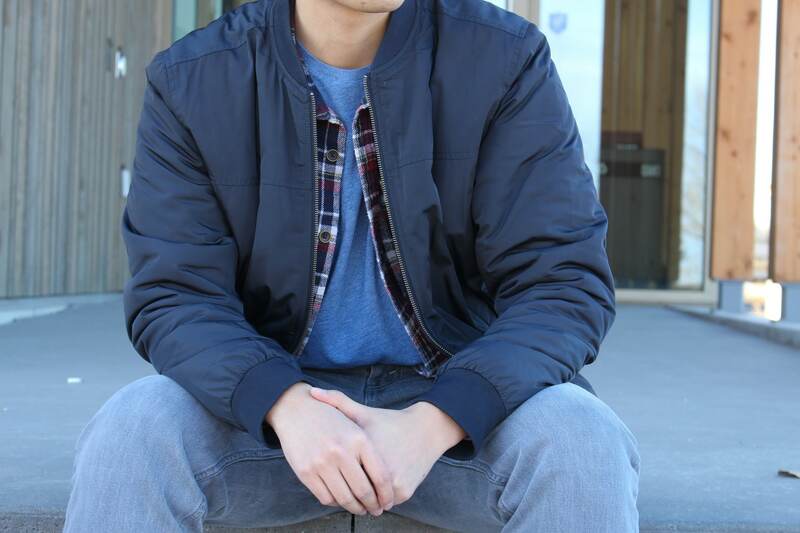 But you can never go wrong with a simple bomber like T.J.’s. Plaid shirts are a wardrobe basic and they’re certainly a go-to styling or layering item. T.J. rocks plaid in most of his outfits and does so to perfection here. 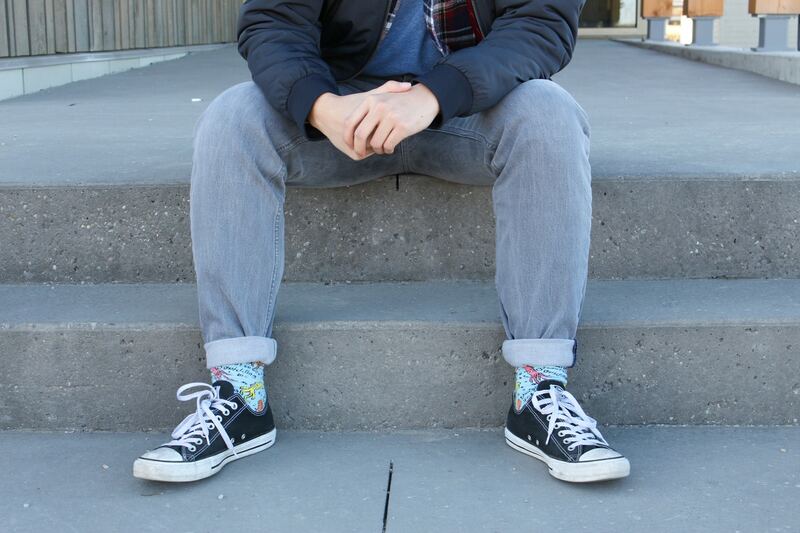 Though they’re a small detail of T.J.’s outfit, his adorable socks grabbed my attention. They show his humor and quirkiness. It’s the little details like this that can add so much to your outfit and express your personality. Do you have a favorite piece of plaid in your closet? 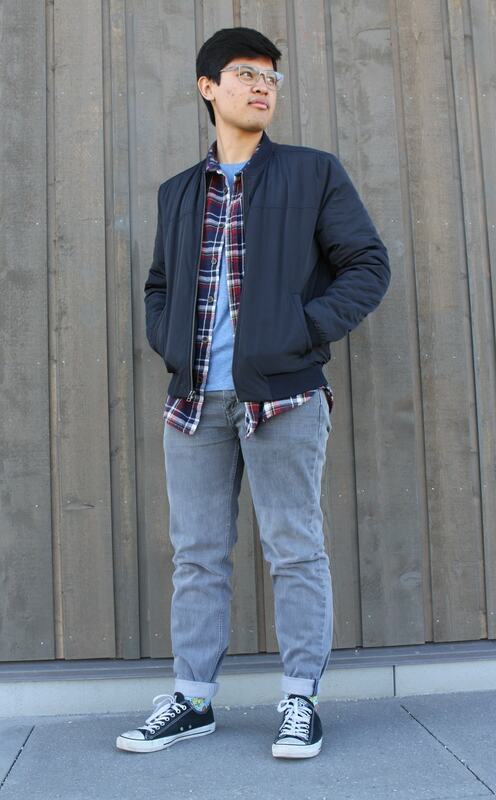 How do you style your bomber jacket? Let us know below!